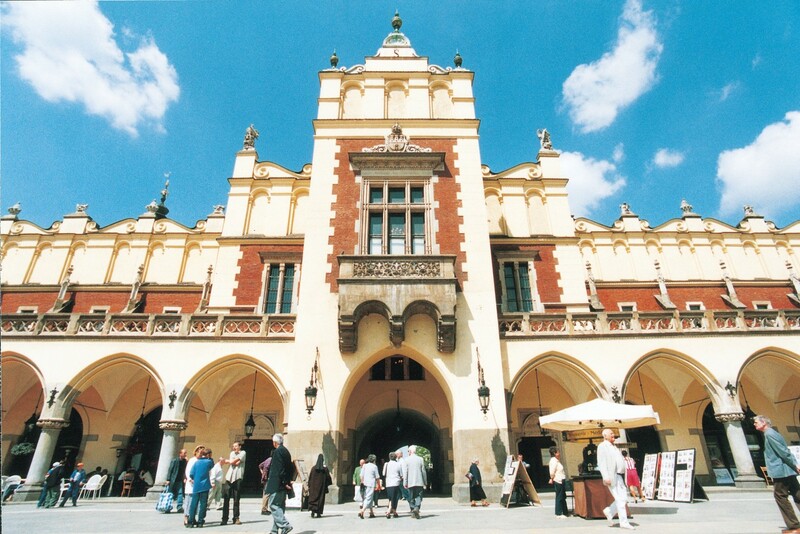 Discover Krakow, the "Polish Rome"
A 5-day stay will allow you to know the city well and make one or two escapades. 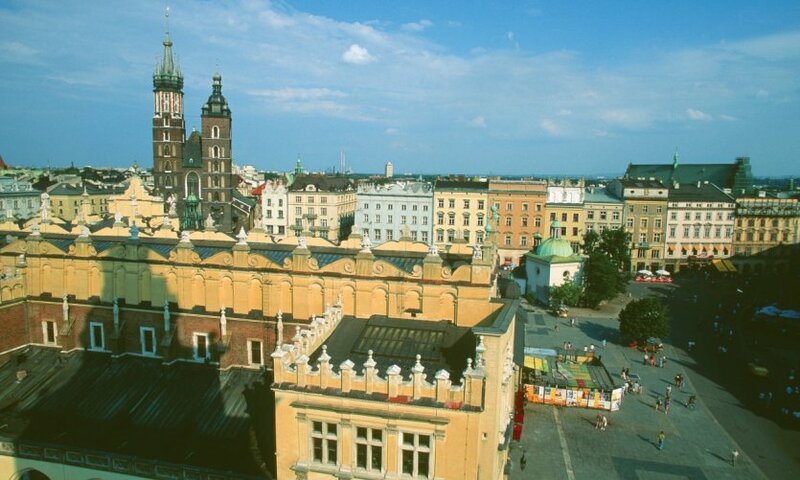 Visit the Rynek Glowny, the heart of Krakow. Visit the cathedral of Notre-Dame, the Halle aux Draps, then take a stop in one of the many cafes on the square to taste a siernik. Continue on Florianska Street, a segment of the Royal Lane, which will lead you to Barbacane. Here, then get off by Pijarska Street towards Rynek, passing through the university district where you will visit Collegium Maius. Then take Golebia Street and exit on Grodzka Street, the second part of the Royal Lane, you will arrive at the foot of Wawel Hill. Dedicate the first part of the day to visit the Wawel complex, which, with the castle and cathedral, is the symbol of the union of political and religious powers in Poland. Get out of the castle through the Dragon Cave. You will find yourself directly on the edge of the Vistule, next to the statue of the dragon, symbol of Krakow. Continue on the wharves until the na Skalce church overlooking the river. Skaleczna Street will take you to the heart of the Kazimierz district, the former Jewish quarter that keeps the authentic charm of yesteryear. Stroll through its alleys, not forgetting to visit Remu 'h synagogue and stop in one of the many cafes in the neighborhood. In the afternoon, after visiting Wawel Hill, you can take a boat walk along the Vistule and then dedicate to the visit of the beautiful Czartoryski princes museum which, in its collection, counts tables of Rembrandt and Leonardo de Vinci. Dedicate the morning to the visit of the former Jewish quarter of Kazimierz, with its many synagogues and its genius atmosphere. Take a stop in one of the cafés around Nowy Square. In the afternoon, cross the Lateus Bernatek pedestrian bridge to the Podgorze district which, during the Second World War, was transformed into a ghetto. Here you will visit the Oskar Schindler plant and the Bohaterow Getta Square. 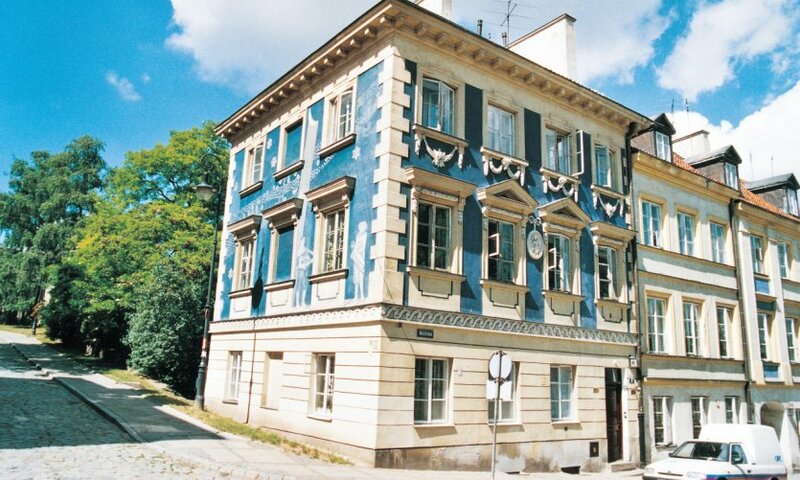 Discover the Zwierzyniec district, west of the city center, which will offer you a rather bucolic picture of Krakow. Small churches and large green spaces, as well as Tadeusz Kosciuszko's tertre, from where you will enjoy a magnificent view of the Old Town. For the third day, choose a trip around Krakow, Oswiecim or Wieliczka, depending on your interests. Oswiecim is 65 km from Krakow and the excursion will occupy you the whole day. You will visit the Auschwitz-Birkenau concentration camps. The village of Wieliczka is located about ten kilometres from Krakow, and visits the famous salt mines. 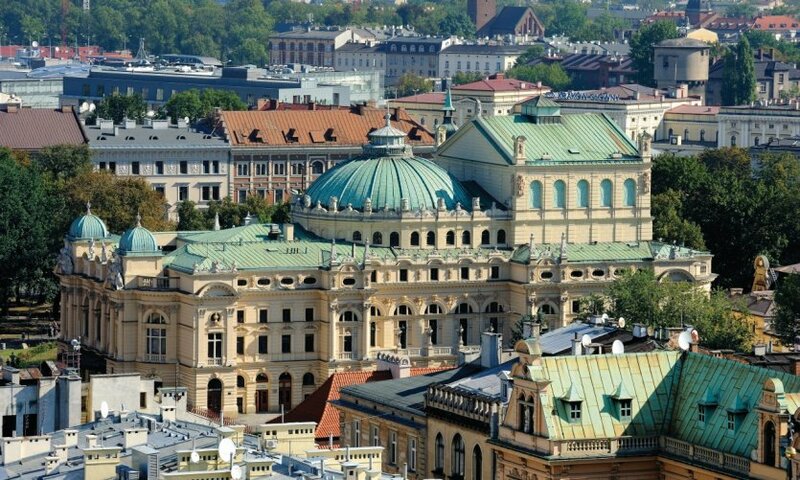 If you leave in the morning, this excursion will allow you to return to Krakow early in the afternoon and enjoy a little more of the city.